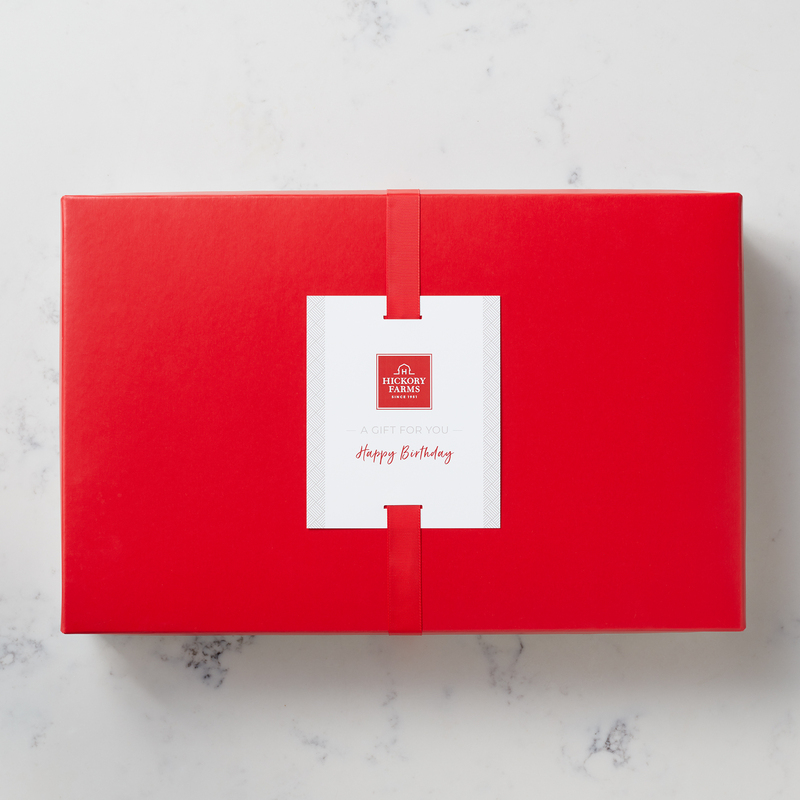 Share a gift with extra flavor with someone who can't get enough spice! This assortment features everything they love about Hickory Farms, but with a little extra heat! 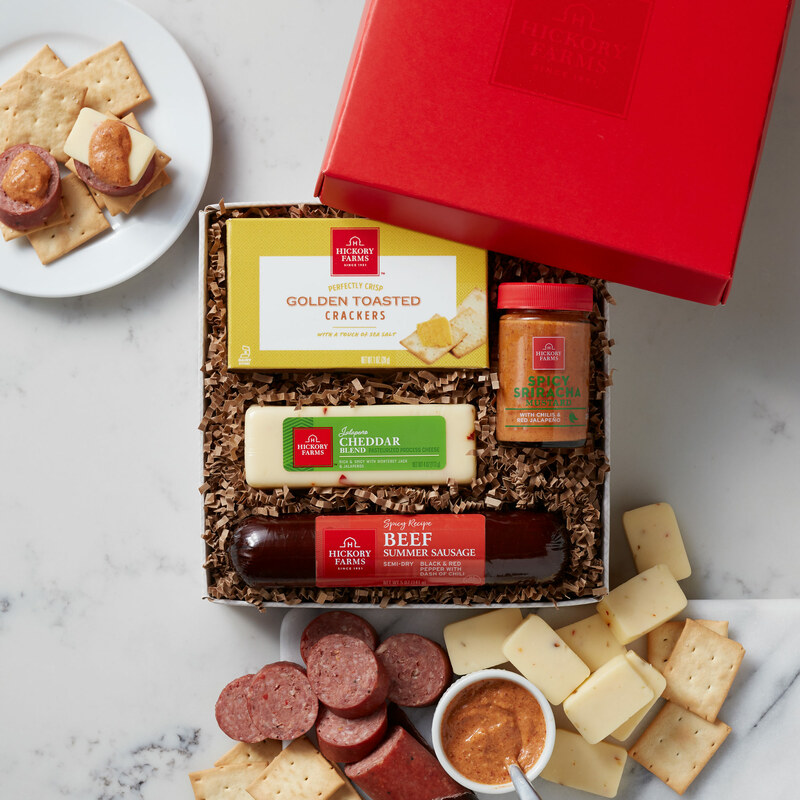 Enjoy a sampling of Spicy Beef Summer Sausage, Jalapeño Cheddar Blend, Spicy Sriracha Mustard, and Golden Toasted Crackers to bring it all together.